Chinese telecoms giant Huawei earned 15.4 billion yuan (2.44 billion US dollars) in net profits in 2012, up 33 per cent year on year. 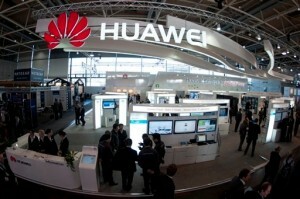 Chinese telecom firms Huawei and ZTE pose a security threat to the US, a congressional panel warned after an investigation in October 2012. China has dismissed the investigations branding the allegations as US trade protectionism. It reported 220.2 billion yuan in sales revenue, up 8 per cent year on year, said Cathy Meng, chief financial officer and daughter of company founder Ren Zhengfei, on Monday. About 66 per cent of its revenues came from overseas markets, Meng was quoted as saying in Tuesday’s edition of the Beijing News. Meng attributed the growth to a more focused strategy, simplified management and improved efficiency. The Company forecasts overall revenues for 2013 will grow by 10 to 12 per cent year on year. Meng said Huawei is open to the possibility of becoming a listed company.